Three of the brightest young talents on today’s jazz scene—guitarist Graham Dechter, bassist Alex Frank, and drummer Ryan Shaw—have banded together to form a new group, The Lineage Trio. With their intricate, tight-knit, and hard-swinging arrangements, the trio not only pays homage to The Poll Winners (Barney Kessel, Ray Brown, Shelly Manne), but carries that tradition forward into the next generation of jazz music. Grammy-nominated Dechter became the youngest member of the Clayton-Hamilton Jazz Orchestra at age 19 and has recorded many albums with the group. Frank is the bassist for Jeff Goldblum’s group, The Mildred Snitzer Orchestra, and can be both seen and heard in Clint Eastwood’s film version of Jersey Boys. Shaw has toured extensively with Seth MacFarlane and, along with Dechter, played on many tracks on Michael Bublé’s new hit album, Love. 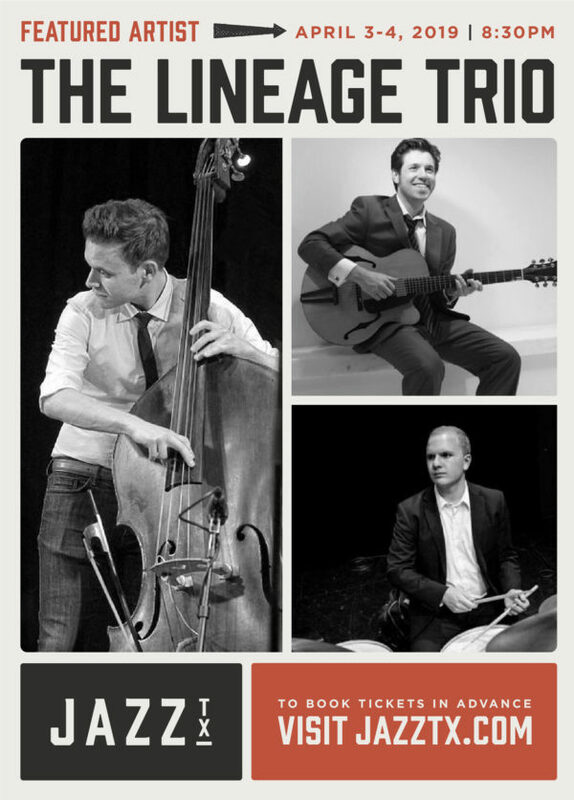 The Lineage Trio made its official live debut in October 2018, with a weeklong residency at Marians Jazzroom, home of the International Jazzfestival Bern, Switzerland. In December they performed at The Smith Center in Las Vegas as well as bluewhale in Los Angeles. They are in the middle of recording their debut album and have lined up a Summer 2019 tour at many of the top jazz venues in the U.S.